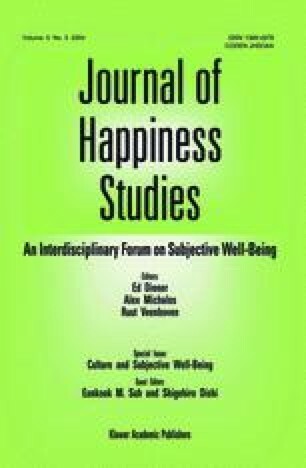 In a review of recent cross-cultural evidence on happiness and well-being, the authors identified substantial cultural variations in (1) cultural meanings of happiness, (2) motivations underlying happiness, and (3) predictors of happiness. Specifically, in North American cultural contexts, happiness tends to be defined in terms of personal achievement. Individuals engaging in these cultures are motivated to maximize the experience of positive affect. Moreover, happiness is best predicted by self-esteem. In contrast, in East Asian cultural contexts, happiness tends to be defined in terms of interpersonal connectedness. Individuals engaging in these cultures are motivated to maintain a balance between positive and negative affects. Moreover, happiness is best predicted by perceived embeddedness of the self in a social relationship. Directions for future research are discussed.